This coming weekend people across the country are being encouraged to make a special effort to get to know their neighbours. The initiative is being promoted by Macra na Feirme and ESB, and encourages people to organise some event in their own locality to get to know their neighbours better. Drum Community Centre is the venue for one such event, where a tea and coffee morning is being held on Sunday 13th July from 10.30am to 1pm. The Drum area of south Roscommon has experienced much development and growth in recent years due to the expansion of Athlone. Unlike other areas, however, it remains a vibrant rural community. This weekend is an opportunity for the residents – both new and old – of the wider Drum area to join together to get to know each other. 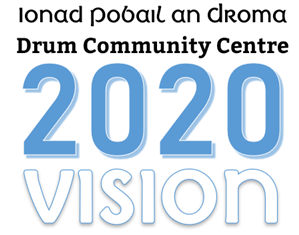 Earlier this year Drum Community Centre marked its twentieth anniversary, and launched the Community of Drum website, which went live in January. 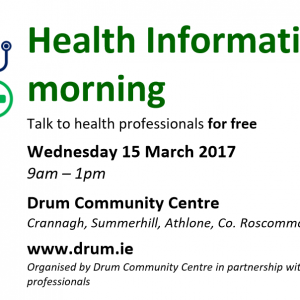 The drum.ie site is updated regularly and includes the weekly parish newsletter, and aims to be a hub for the entire community by providing information about various organisations in the area.